Studies reveal that students have a higher probability of succumbing to smoking, drinking, and drugs when compared to the general public. Cheap bars operating for students, the lack of parental control, and peer pressure are some of the leading causes that make students addicted to drugs, and also smoking and alcohol. How Drugs Infiltrate Student Life? • Biological Makeup – The genetic predisposition, gender, presence of additional mental disturbances, and the environmental changes can increase the drug abuse risk. • Developmental Factors – The early developing stages, especially the adolescent stage is extremely vulnerable to drug addiction. • Environmental Factors – Family, lifestyle, economic situation, peer pressure, sexual abuse, parental influence, and stress are some of the common and most powerful risk factors that control the drug abuse and its course in a person. Though a person can become an addict at any stage in his life, the drug abuse is more marked when it starts at an early age. Since adolescents have a developing brain which makes the areas of self-control judgment and decision making not yet fully formed, the behavioral extremes including drug addiction are seen more. In the past, street drugs played a domineering role, but now prescription drugs are taking over as a lethal and serious issue. Antidepressants, stimulants, sleeping pills, and tranquilizers are drugs that are prescribed commonly. These can turn into a potent and addictive form equal to or even rivaling the cocaine and other street drugs. For instance, the painkiller OxyContin has an addictive effect similar to heroin. When these drugs are used continuously, they can cause addiction and withdrawal symptoms, when stopped. Recent trend in American colleges indicate students turning to a commonly used prescription drug not to get the heady feeling, but to increase their academic performance. The drug Adderall is prescribed for children who are suffering from attention deficit disorder. Since the medication keeps the brain focused and alert, students are using it illegally to score higher grades. Dubbed as ‘study buddies’, the drugs enhance the concentration power, and keep the students alert for over 10 hours continuously. Similar to the effects of steroids on athletes and in other sports, Adderall makes students perform exceptionally. 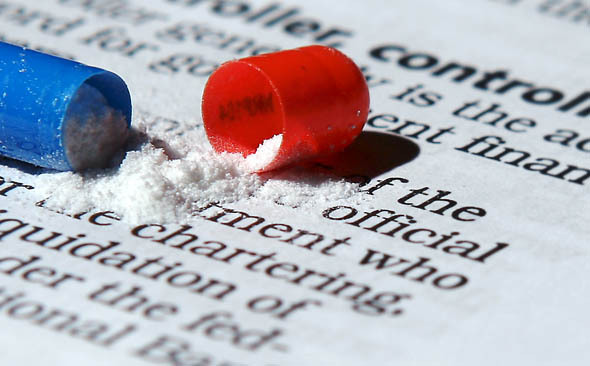 With the competition in college students growing to new heights, the use of Adderall gives students the needed impetus. According to Adderall information, when it is taken at the prescribed dose, it does not cause any harm. But when abused, it can turn to be a highly addictive drug. It makes the body work to its maximum capacity even when it is not up to it, which can over the time get out of control leading to fatal consequences. Prescription drugs when abused can lead to paranoid reaction, suicidal thoughts, hallucinations, and even death. More deaths have been reported due to the overdose of prescription drugs than that of cocaine or heroin. Students need to be aware of the ill effects and avoid these lethal drugs at all costs. Paul Watkins uncovers the pertinent reasons that are responsible for drug addiction in students. Though people tend to check Adderall information and stick to it for an impressive output, he insists to not get obsessed by it.